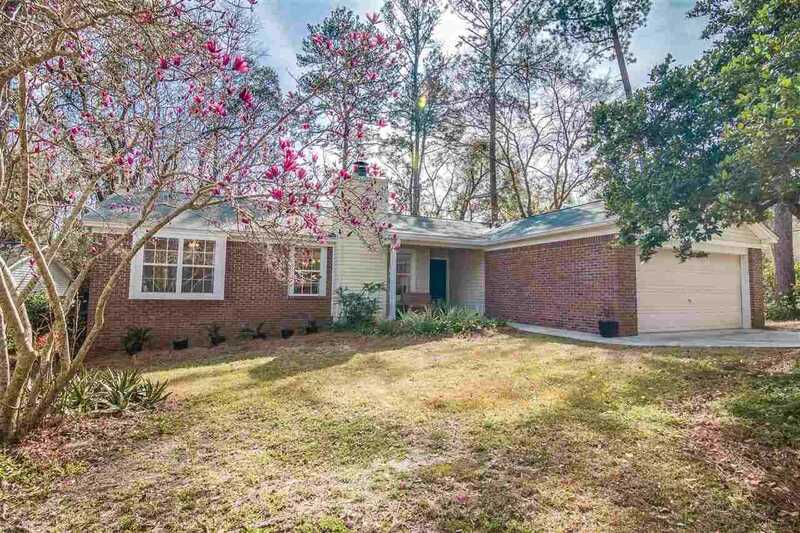 Lovely 3 bedroom, 2 bath, single story, home in high-demand NE Tallahassee neighborhood of Centerville Trace. Located just minutes from popular amenities off Thomasville Rd, this clean, bright home offers a superb in-town location along with the prime school district of WT Moore, Cobb, and Lincoln. From the front door opens to soaring, vaulted ceilings in the living space highlighted by white-painted brick & wood-burning fireplace and beautiful laminate floors throughout. Open concept kitchen offers endless counter space & storage while overlooking the dining & living room space. Split bedroom floor plan includes large master w/ en suite and over-sized walk-in closet. Backyard is highlighted by the completely fenced yard and spacious deck, great for hosting or entertaining. The indoor laundry room just off the garage offers functional convenience for the floor plan. New roof 2010. SchoolsClick map icons below to view information for schools near 3621 Molly Pitcher Court Tallahassee, FL 32308.